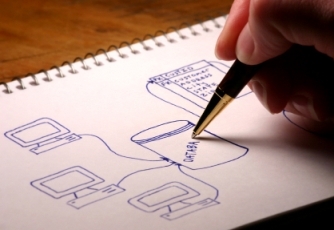 Database Design and Implementation to support complex business backoffice architecture. Again, experience that counts. The Info-Power team has real world experience in the latest mobile-centric databases like CoreData and SQLite. We also have extensive experience in other SQL products like MSSQL, Oracle, Ingres, Postgres, MySQL, Informix, DB2, and Sybase. Info-Power can map data from your business system and provide the means to display your data on a mobile device. Customers, Sales Reps, Inventory, Sales Orders, Scheduled Shipments, Vendors, Purchase Orders, Scheduled Receipts, Sales History, and Financial Data. You can identify by device which tables will be available to a given mobile device. For instance, a device may have access to Sales Orders and Inventory, but no access to Financial Information.